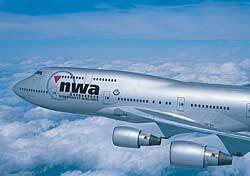 Northwest announced it will add a first-checked-bag fee, which will affect all tickets purchased on or after July 10 for travel on or after August 28. Northwest becomes the fourth major U.S. carrier to add such a fee, joining American (which got this whole first-checked-bag-fee trend going back in May), United, and US Airways. Northwest will also lay off 8 percent of its staff (roughly 2,500 jobs) in an effort to cut costs. Northwest’s move all but guarantees Delta will add the fee as well, as the two airlines are currently working toward their proposed merger. Whether or not Delta will add the fee on its own or wait until the merger takes effect remains to be seen, but my guess is that complimentary checked bags are nearing extinction on Delta. That leaves Continental as the only legacy carrier truly on the fence, with the airline’s CEO publicly expressing reservations about these types of fees (even though the airline is forming an alliance with fee-charging United). At this point, it’s not entirely shocking when an airline adds a first-checked-bag charge. What is shocking is Northwest’s timing. The airline announced the fee on July 9, giving passengers less than 24 hours’ notice of the new policy. If you wanted to book a Northwest ticket before the new fee took effect, you sure didn’t have a whole lot of time to do so. United handled its fee the same way, while American and US Airways gave customers a few weeks of breathing room between announcing and implementing the new charge.